Each December, I just love mailing out holiday cheer! 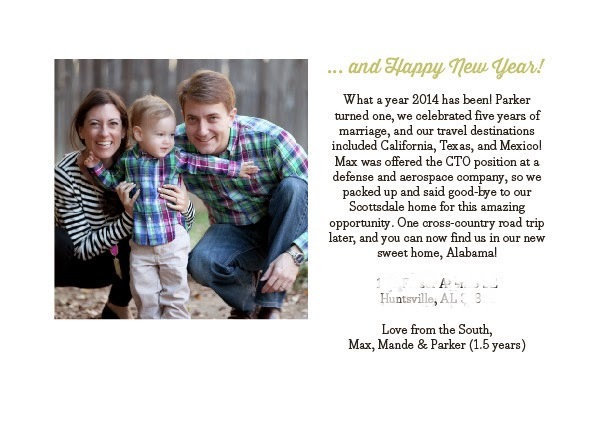 This year, our Christmas cards also served as our moving announcements. Multitasking for the win! We used photos that Max's sister snapped for us over Thanksgiving. Parker is obsessed with the SLR (and all things with blinky lights and buttons). He just wanted to point at the camera with a curious face, so we had to pull out all the stops to get him to giggle instead. This included Auntie's boyfriend lighting sparklers and twirling them around next to the camera. You know, anything to get that smile! 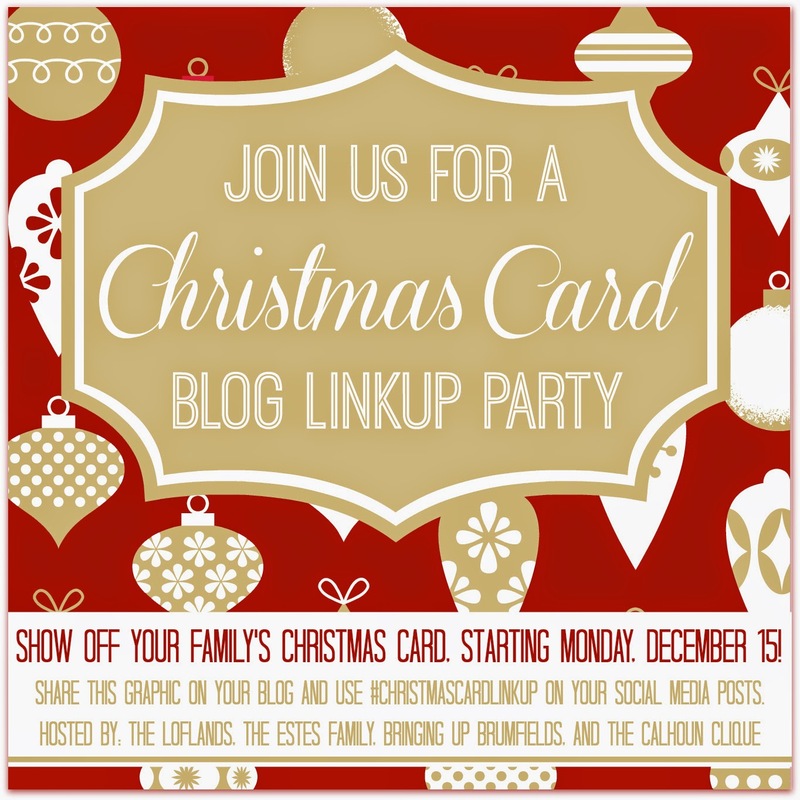 Linking up here for the Christmas Card Party! I love the simple, classic look of your card! And congrats on your hubby's new job! 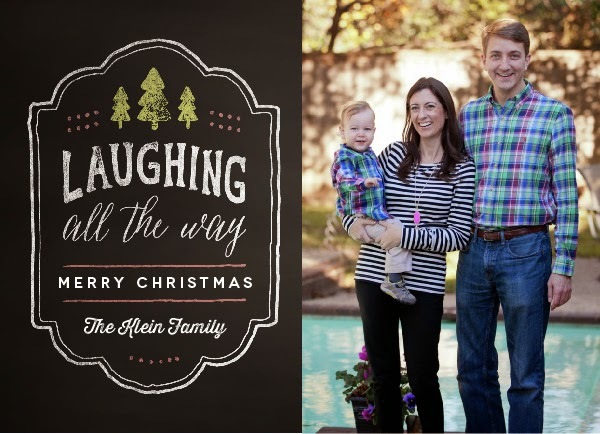 Thanks so much for linking up and Merry Christmas! The twirling sparklers was a total win for all THREE of you! Your smiles look genuine and it's PERFECT! I hope you enjoy living in Huntsville!